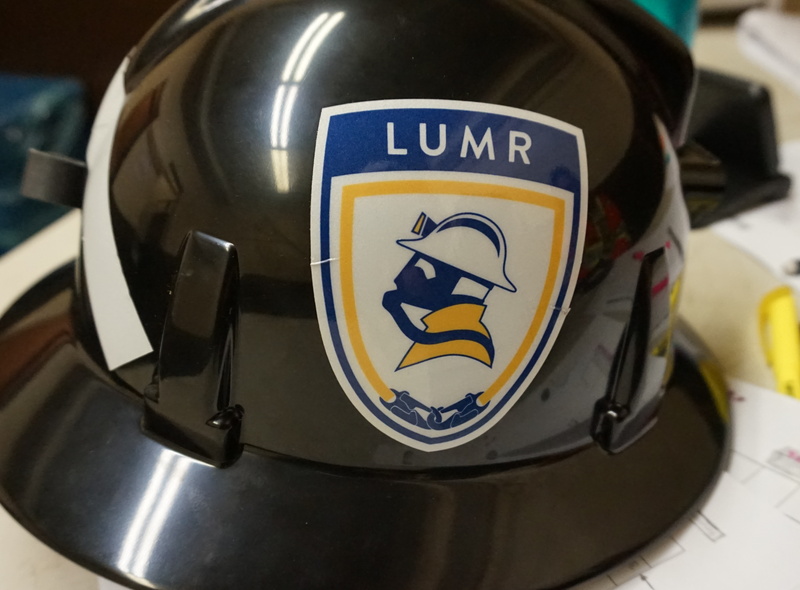 A team from the Laurentian University Mine Rescue (LUMR) club recently won the 2017 Mine Emergency Response Development (MERD) competition hosted by the Colorado School of Mines in Denver. I sat down with Julien Lalande (team captain), Greg Moser (club president), and their staff adviser, Ethan Armit, to talk about the team’s history and recent successes. JL: Mine rescue is basically underground firefighters. We do pretty much everything that a firefighter would do, but firefighters can’t go underground. They get mining personnel to respond to emergencies underground: fighting fires, extracting people or any other type of emergency. All very similar, except we’re underground. Dealing with the scenario and also dealing with the people. EA: Underground emergency search and rescue, firefighting, and emergency evacuation. And this is a volunteer facet of your job? EA: Mine Rescue personnel are volunteers, although mining companies do have a legal responsibility to compensate the volunteers for their time whether it be an actual emergency response or training. There is legislation that says that, when mine rescue teams are volunteering their time, they are not only able to take time away from their work, but also they will be compensated as if they were at work. It’s volunteer, but under the condition that there will be no lost income. I meant volunteer in the sense that it is not your exclusive job. EA: Anybody can volunteer to participate in mine rescue, not just mining people; the floor cleaner, secretaries, mining engineers, miners, geologists, even people that work in surface plants. It is inclusive of all of occupations that could be found at a mining operation. JL: There’s someone responsible for meeting all the requirements in the Green Book for mine rescue at a mine. From there, it’s basically people that applied to be on the roster. So depending on who is already on the roster… You need a mix of people. You need tradesmen, electricians, millwrights. You need miners who can operate equipment and deal with bad ground conditions. You need vent techs that know the ventilation inside and out. You need ground control techs. You need engineers. You need all different types of people. So you would apply and the one person responsible for mine rescue would pick who they need and then from there you go to do basic training. So on any given shift there are people there that can respond? JL: There’s people underground, there’s people on surface, and there’s people at home on their days off at all times. So basically they are training for any sort of scenario on a regular basis. EA: Everything from firefighting, search and rescue, re-ventilation, first aid, to falls of ground. Whether it be rigging and hoisting, or the jaws of life… All those tools that a firefighter would use, mine rescue personnel are trained to use them in an underground environment. What was the impetus for starting the club here at Laurentian? EA: Ted Hanley [Ontario Mine Rescue (OMR) General Manager] approached Bruce Jago from the Goodman School of Mines with the idea of student involvement in mine rescue. Ted had a vision of a pilot project which, at the beginning, was building up a mine rescue club within Laurentian University. The Colorado School of Mines was the first mining school in North America to have this sort of club, so we used their model as guidance. Marty Hudyma [LU Mining Coordinator] and I took that over from Ted and Bruce’s initial vision and put some pencils to paper to figure out how we could make this idea happen. I was assigned the role to act as the staff coordinator/adviser and actually do the intial recruitment and organize the basic training required. Shortly after the club began to develop Dräger Safety came through with a very large in-kind donation of BG-4 [standard closed-circuit breathing apparatus] units to Laurentian University. We have an active substation here at Laurentian University. The only difference between our students and an active mine rescue team that works in the industry is that our school insurance will not allow our club members to respond to an actual disaster, where the Colorado School of Mines has actually authorized their student club to participate in real emergency management under the immediate direction of an industry team. When you’re pitching this to students, what was that initial proposition? EA: The point of this whole entire thing, from Ontario Mine Rescue’s standpoint, is that when graduate engineers enter the mining industry they will take on entry-level jobs, then moving into intermediate and higher level management positions, all while having an intimate knowledge and appreciation of the mine rescue program and its contributions. It’s about fostering this culture where a mine manager is pro-mine rescue, understands the value. At the university level, the pitch to the student becomes: you develop this understanding, employers are going to look at you as a much more well-rounded individual. It’s not only about how to get the tonnes up the shaft that day, or how to keep the workers safe, it’s about truly being a leader. Leadership is part of that training, so from an employment perspective, it’s very well respected, it shows commitment, and dedication. The biggest benefit to the student is the camaraderie of the mine rescue community, as well as those additional qualities that they will get, ultimately becoming a well rounded, highly employable mining engineer. So when Ted approached Bruce, this was back in 2015? GM: Yes, in August or September, and we started the club and held council elections in October 2015, which included setting up a constitution to ratify the club. From there, it was on the first council to take this Mine Rescue Team idea that Ethan spoke about, from just an idea and translate it to a full-fledged competition team. We held meetings and first set goals including that of participating at Districts in the spring 2016 (which was not in the initial plan from the standpoint of the school), which helped us develop more motivation to get the training sessions going for the members. As you might imagine, this was extremely new to us, we did not know where to start. How were we going to get mine rescue personnel to even come and train us? With the help of Ontario Mine Rescue’s Tim Ebbinghaus, and Ted Hanley, I reached out to the mentors, who to my surprise were very open to setting up sessions. This really was our first exposure to the intense brotherhood that Mine Rescue participants inevitably share. Our next goal was getting our distinct logo created by a real industry professional, who went by the name of Neli Nenkova. Creating a logo was extremely important for the identity of the club, so we made it our goal to have this task completed by the spring so it could be rolled out at the competition. From there, we worked together with Drager’s, Kent Armstrong and the International Mine Rescue Body’s, Alex Gryska to have six BG-4s, as Ethan mentioned, delivered to Sudbury so we could begin training on our new equipment. Next step was fundraising to get the first pair of coveralls for the team members, embroidery of the new logos, as well as hard hats and reflective stickers to go with them. All of this was a learning curve, as we were all new to fundraising as well. It meant going out and getting quotes, and coming back to the Bharti School of Engineering to discuss with our Director at the time, Dr. Ramesh Subramanian, what our options were. Bharti has supported us from the beginning, and we wouldn’t be where we are without their continued support. EA: In May 2016 the club competed in its first district competition, competing this early on was not in the master plan until approximately year three, so they brought that ahead by two years essentially. This year the club competed in the MERD 2017 competition in Denver with again the plan to put another team together at Districts again this year. The way that it has worked out is that Districts is really a training exercise. You’re competing against the best mine rescue teams that are being pulled out from these different companies. For our team to actually go in and win —just because it’s an unequal playing field on experience and all that— it’s not realistic. JL: We weren’t so much competing as we were participating at the district competition. EA: This was the point of the collegiate event (MERD), because now you’re competing against student teams, now you’re competing on a level playing field. JL: So that training that we did at Districts really helped us when it came to training for MERD. We had already competed together and been in a competition environment. EA: So even though we are the second team in Canada, we are the only team that competes against, actual industry teams. The Colorado School of Mines has a varsity team that competes with and alongside professional mine rescue teams, but never are they in a position where they compete against them, as where our team do the same scenarios, and they’re not given any advantage or disadvantage, they are truly competing. Going back to this District competition, what is required of an event like that? What does it look like? JL: Districts is usually in a hockey arena. They basically set up plywood for walls and imitate the map that’s in front of us and what the scenario is that we’ll be dealing with, whether it’s a fire or any other scenario. EA: It could be trapped workers, or noxious gases, it could be anything…..
JL: They even set up a pretend cage for the team to go down on, to the specific level that they need to be on. EA: There’s multiple components to a competition; there’s this “scenario” that we all talk about, what you can call an emergency response/underground search and rescue/firefighting exercise. It’s a field exercise. Then there is what they call an MCQ [multiple-choice question] component which is essentially a written examination. Those are general knowledge tests about the mine rescue handbook, or commonly referred to as the “mine rescue bible”, which sets out the policies and procedures that represent how business is done with Ontario Mine Rescue. JL: Colorado was different. There was supposed to be an MCQ test but they didn’t make us do that. There were different countries competing and everyone does things differently. And there’s a language barrier too from the German team. But they had a separate first aid event and then the underground event that didn’t have extensive first aid. It was very basic, just get the casualty in the basket and get him out, whereas in Ontario it would be a major first aid problem. GM: Something realistic, where they might have a broken leg or arm and you actually have to put them in a splint, as well as bandage up any wounds, and completely treat them for first aid, or CPR if they are unresponsive. EA: Both competitions —the district and collegiate one— there’s a technician component, which is about the trouble shooting, maintenance, and functionality testing of the actual breathing apparatuses that are used. So in May of 2016 you go to the District and then in mid-February you go to Colorado for their their competition. How many schools are we talking about? EA: South Dakota School of Mines, Montana [Tech], and Freiburg University from Germany. GM: Clear an area by fighting a fire, save a couple casualties underground, then re-ventilate the area, and proceed back to surface. Normally, once a member on the team runs their oxygen down to about half of what they had when they started, they must work their way back to the Fresh Air Base. However, in competition scenarios usually they allow you to work through it all and get it done in whatever time it takes you to do so. EA: It was much more representative of an actual emergency, where the teams as they as they enter the mine are always progressing beyond the previous team’s effort. The initial team will go in, pull out after their two hours, and maybe they clear and sweep, do first aid, and whatever else needs to be done in the first 1000 meters of drift, while the second team that goes in starts at that point and progresses deeper into the mine. JL: But every team has the same challenges. Every team had to put out a fire. Every team had to extract two bodies. Every team had to set up a vent curtain and install timber sets at a Fall of Ground area. We had the same challenges that we were being judged on, it was just in a different part of the mine. So what were the events at the Colorado competition? JL: There were four. Our first day started with incident command. This is a new concept to mine rescue in general, no matter where you are, no matter what part of the world you’re in. It’s recently been introduced. So that’s basically controlling the situation from surface, all aspects. You’ve got to control the team underground, you have to take care of logistics on surface, what materials you need to bring in, how to deal with media, etc. There’s a safety component of making sure the men and women going underground are in good shape. This event was more of a training exercise for the teams. We weren’t judged on that portion of it. That was just a learning experience for all the teams. We did the underground scenario after that, later that afternoon. We were the incident command team for the team ahead of us that was underground. So Germany was underground —it just so happened that we were working with the German team as they were underground— and then, when they came out, we did the underground portion and Montana Tech did incident command for us. From there we did the underground scenario which was, basically, putting out a fire, supporting a fall of ground, and extracting two miners. GM: When he opened the door we could hear the people screaming at him “Come help me, come help me” and “I’m glad you’re here.” They pull him in and basically he’s freaking out but also trying to assess the scene. EA: It was an initial scene assessment and triage. Once the priorities are established, the other team members kept coming in. As additional team members would enter, Alex [initial responder] would [based on his initial assessment] set the priorities as to which patient was more critical than the other, and dictate “you go here first” based on those priorities. GM: I entered the room second. Mulloy knew everything that was wrong with everyone so he was able to give me a quick debrief on the situation, it was actually remarkable. I said to myself, “OK, well, you seem to have things figured out, what do you want me to do?” and then I went on to protect an impalement, followed by creating cribbing around the piece of steel impaled in the man’s shoulder. Thankfully, just before I was to be lead in, I asked James for the First-Aid Kit to put on the stretcher as he had it around his waist. JL: That, to me, was the biggest challenge. The underground challenge we were prepared for. We really excelled during the underground challenge as far as I’m concerned, because that’s what our training was geared towards. But that first aid challenge was a real eye opener for all of us, although we ended up doing really well. GM: Yes, and it goes back to our training. When I bring in trainers and mentors, a lot of them are first aid trained first. That’s what they know best, so we too base our training around having first aid first, and it definitely comes in handy when we are presented with a scenario involving sometimes three or more casualties. JL: So that was a really good experience. And then that afternoon we did the technician’s challenge. That one was… I’m going to say this: The judges were really open to the way we do things for the underground and the first aid scenario. “We know you guys do things differently in Ontario and we are okay with that. We have your book, we know what to expect and what you guys are trained to do. So, go ahead and do it that way and we’ll judge you fairly.” I thought during the technician challenge… they weren’t open to the way we do things. It was really frustrating. EA: A lot of teams did get frustrated to the point where they just said, “You know what? We’re not going to compete in this, you just show us.” They treated it more as an educational exercise. Where we insisted from day one, “We’ve been training to do this and we’re going to show you how to do it.” The outcome is the same. Does the equipment function the way it’s supposed to? Do you go through necessary troubleshooting exercises to solve the technical problems? But the procedure which you use to perform that functionality test or to troubleshoot those problems was different from the Canadian jurisdiction, or Ontario jurisdiction, to the American jurisdiction. JL: But that was a good learning experience too. None of us have done a tech competition before. GM: We focused on the first aid and the underground because, for us, that’s very important, obviously, to learn that down pat. If we had more time we would have trained the technician’s training a little more, but again they judged it based on MSHA rules anyways, as opposed to Ontario Mine Rescue rules, which put us at a disadvantage from the hop. EA: And now, understanding this, we’ll be able to train better for the next time we go back to Denver. As frustrating as it is, we now know what they want and we’ll adjust the training to comply to that when we’re training specifically for that exercise. EA: But scored enough points all the way through to be the overall champions. First time there, a year and a half after the club started. And you won! That’s awesome! JL: We got some really great feedback from the Colorado guys, they were really impressed. EA: And now we’re getting interest from other international universities. Greg and I talked to another guy about us going and explaining how we went from zero to success in only a year and a half, they almost seem dumbfounded about this. The biggest part of our story wasn’t that out team went down and they won. It was more to the tune of this team had never competed in this competition and have only been in existence for a year and a half and they went down there and won against, with the exception of the German team, four other teams who have actually competed in this competition twice before. They were impressed with the the progress you guys were able to making such a short time. What sort of work have you guys been putting in in the last 18 months? GM: Hundreds of hours of training since Districts, I’d say. Fast-forward after districts to the next fall, and we were presented with some more goals, how were we going to get the training started at the school so we could set up a schedule that was tailored to our school schedule? Thankfully we had another student join in, Erik Vanin, who had a lighter course load, and could put some serious time in to get the substation set up at the school. After some back and forth with the school, Ontario Mine Rescue, and the students, we were able to get our own substation set up on campus. This meant we could continue training on our own schedule on weekends, and Wednesday nights on campus. EA: That hundreds of hours starts in September and looks like an eight hour day on Saturday, an eight hour day Sunday, and at least a two to four hour session of some sort during the week as well. They’re putting in 15 to 20 hours of effort every week, and they trained right up until two days before they left for the competition. GM: Let’s not forget that there’s a lot of fundraising involved too. We volunteered at Operation Red Nose, a Comedy Night in the Donovan, a Fight Night at the LU Pub, and various other events to get the funding we required. Fortunately, I was able to speak at CIM meetings to get awareness of the club out there, this led to a partnership with Goldcorp’s Paul Levesque, whom we are extremely grateful for his and Goldcorp’s generous support. JL: That’s where we split things up. I really concentrated on the team and the training for the Colorado trip, and then he and the council —but mostly Greg— did a good job with the logistics, fundraising, meetings and speeches at events. EA: So you get a guy like Greg who’s on the team, as well as wearing an administrative hat for the club. Julien’s the captain, but I think if you had a captain and a club president in the same person… I don’t think you’d get it done. It was really valuable for us to have a dedicated captain and running these two entities really separately. The club does a lot of work to support our competition team, and having multiple leaders in these different positions, rather than having this one person, which is how UBC does it, allows us that flexibility to focus on the priorities. The other thing is we do have staff involvement, and administrative support, which is something that I think also allows us some flexibility because our club doesn’t have to worry about navigating bureaucratic red tape, that is what I do for them. I was getting them to the right people and then saying “OK Greg, here’s the meeting, go talk with this person.” They didn’t have to be involved in all the hurdles or finding that path through the bureaucracy. JL: So going back to your question about how we were successful in such a short period of time. Having the full support of Ontario Mine Rescue and having their main office in the same town as us, was definitely an advantage. Plus, we had Tim [Ebbinghaus] for the training who we could not be competing without. But when it came down to it I think our team was just well rounded and performed well when the time came. The five guys that we had on the underground team, the five guys we had doing the underground scenario were all leaders. We we’re an older and more mature group too. EA: You’ve got a deathly level of dedication from the team, and, to match that, you’ve got a deathly amount of commitment from a mine rescue officer at Ontario Mine Rescue. Those two components of dedication combined with a reasonable amount of institutional commitment all contributed to our success. But really Julien is right, the team we had, without the trainer we had, wouldn’t have worked, as well as on the flip side, the trainer without the team… If our trainer had been working with a team full of greenhorns then the result wouldn’t have happened at all either, or if the institution hadn’t represented roughly 50% of the funding we never would have been there. I think all three of those components came together, but really it’s those two levels of dedication from the industry partner as well as the student body. Tim from Ontario Mine Rescue is coming in and doing your training three times a week? GM: On top of Tim Ebbinghaus from Ontario Mine Rescue, I had to reach out to other mentors too. There’s about 15 of them that would randomly come throughout the last 18 months. EA: We have this network of industry mentors, different mentors have different skill sets. There’s a mine rescue personnel always there, but then these mentors come in and do different training scenarios all time. The training session these guys did before they left actually involved makeup recreation of realistic looking casualties, which is exactly what they had to deal with in Denver. GM: Bleir Millions, from Glencore for instance, he’s great with first aid. That’s his specialty, so I brought him in. He had a scenario planned and got us pumped days prior to the training. Another mentor was Paul Aho, from Vale, who is a great Briefing Officer with a ton of competition experience, who was able to train Dalton [Moncion] very well to prepare him for the competition. There are many more, and we are very grateful to our supportive mentors that have helped us along the way. EA: We now know exactly what we need to do, we know what needs to happen to do well at this competition. With this technician thing, we’ve got the last piece of the pie. We know what we need to do differently to come back stronger. GM: We’ll send a technician to Districts this year, so that we get someone that’s had first hand exposure to that for next year and the years going forward. Last year we didn’t have a District’s technician, we just went into the underground, and I think that definitely affected our performance at the Colorado MERD this year. If we knew sort of what to expect in a technician event we would have definitely performed better as we would have been better prepared. Is there a next competition on the radar? EA: Sudbury Districts, in May 2017. We’ll be kicking off training for that next week. It is going to be a different team, different captain, and many new faces. There is only a small amount of carryover, maybe like 20% carry over from our Denver team, and we’ve got this new class of recruits that just came out of the basic training that we now have to get them into Districts to get that competition experience. So, in two years time, when we’re gone back to Denver with a team that’s 60 to 80% new, that they’ve got some competition experience under their belts. We’ve learned the importance of this because these guys having that competition experience from Districts was probably one of the major reasons on why they were so comfortable and confident in what they did. GM: To help with turnover, I’ll share this advice: I recommend that you try to get younger people involved as early as you can. Otherwise, you get to this point we are at now, where we’re left with a bunch of fourth years who are experienced, trained individuals, but are on their way out of school. We’d like to pass that knowledge on to the younger generation to keep this club moving forward. EA: Greg is right. We can’t be a team of fourth-year ringers. There has to be second year, third year, and fourth year people so that the next year, when we come back, we’re breeding that leadership. Generally, students in third year will never lead the team. That’s a senior’s job, and then the sophomores and juniors will aspire into that. JL: The trick is to get the younger kids motivated to do this and that’s going to be the tough part. Even on our team, we’re all older students, more mature students. There’s not many students in lower years that we know of that are going to be interested in competing in Districts, but we will do our best to recruit and train them. EA: And, within the institution, there are no breaks given to this group, they have to deal with the same schedule and course requirements everybody else has. The main idea of this was to implement mine rescue into the course curriculum. The longer term vision is, students that commit themselves to this and dedicate themselves, in the future, will get academic credit for this. That’s the long term vision of where Ted Hanley and Ontario Mine Rescue wants this thing to go. Right now it’s a huge step up, but every single person on that team will get good employment the minute they walk out of here, and I would say that in 50% of those cases that’s gonna be completely related to the dedication and commitment that was given to this club. So the success rate out of this club is huge. In the interest of getting good students involved in the program, as students that have been through this and been successful and put in that sort of time, what would you want someone who’s interested in this to know? What have you got out of it? What can they expect? GM: Aside from networking? Cause that’s a huge one. You get to meet industry professionals. You get hands-on skills. You get the benefits of that magnitude. Other students come out of school without any practical skills or knowledge. They have theoretical, yes, but, for instance, getting that understanding of what to do in an actual emergency underground is invaluable to an employer and an employee. It is something that they don’t teach in the regular curriculum. This gives you that venue to develop the ability to keep a calm, cool head if or when an emergency presents itself. EA: And you don’t just meet them, you form a relationship with them, that’s the difference. You go to a networking event and meet somebody and swap business cards. This one, you meet them, you swap business cards, and you develop a personal relationship, with highly respected professional mining people. JL: And I think, if you have the basic training on your resume that’s one thing, but if you have competed —whether it’s a District competition or MERD— that really goes to show how much more time and effort certain students are willing to put in, on top of their regular course work load. Other mining engineers in the industry know how difficult it is to get through an engineering degree, so when they see a student that’s doing that plus mine rescue, or any extracurricular activity for that matter, I think they will respect that. They see that whoever they are looking to employ is not afraid to commit to something and get involved. EA: I think also there is a general delusion amongst students that most graduate engineers enter the workforce as a manager, but I believe this is not a delusion for these two guys. They have already proven themselves prior to entering the workforce; they’ve already proven they can manage people, manage finances, and rally support in the community. In 99% of students this isn’t the case, but with this club and their effort, it really gives a keen and passionate student the opportunity to get those leadership skills under their belt before entering the mining industry, which is going to ultimately elevate the position at which they will enter the workforce. GM: The biggest thing that I saw when I was starting this, is that you have a better knowledge of what goes on in an emergency, so you can handle yourself better when you’re faced with that particular situation in a real life scenario. EA: Learning what you learn through mine rescue will fundamentally change the way you design and operate a mine, because when you know what can happen, you can design, manage and construct things to happen in a way that will prevent many potential hazards. If you will have the knowledge of what can go wrong, that gives you the knowledge to prevent it. GM: After getting all of this training and experience, it gives the student the ability to make better informed decisions when faced with difficult questions in the future. EA: Good housekeeping: not having flammables and combustibles all over the place, making sure your refuge stations are developed on time, are positioned strategically, and they’re well maintained. Refuge stations are truly the safe spots in a mine that can make the difference between life and death. GM: It’s a general need in the industry. I see too many students coming out of school without that knowledge of what to do in an emergency. Every emergency presents its own set of challenges; the issue is, like any other mine rescue participant, I’d like to have more and more people with that sort of know-how when we come across one. For example, if I’m working in an engineering department, and I know that these guys went through a program and they know what to do if a fire or explosion presents itself suddenly, I’ll most definitely feel more comfortable and confident that we can come to a quick resolution having these individuals by my side. This entry was posted in Engineering, Interview, Laurentian and tagged LUMR, MERD 2017, mine rescue club, mine rescue team by brent. Bookmark the permalink.